Coaching Special Olympics athletes is rewarding and makes use of the experience and knowledge coaches already have. In all sports, there are special rules and adaptions that make participation fairer, safer and more competitive for athletes of all abilities. The quiz below highlights aspects of Special Olympics Unified Sports that coaches and officials should know about. Test your knowledge! The Special Olympics Sports Department has developed this quiz to be a low-pressure way for people to test their knowledge of this Special Olympics sport. Every question has a single correct answer; if you select an incorrect answer, you know immediately and can choose again. As a result, everyone who takes a quiz instantly knows the correct answer to every question. The questions are drawn from information given on the Unified Sports coaching page. It would be a great idea to check it out plus other resources on the Sports and Games page. Have you reviewed the suggested materials? 1) True or false: Eunice Kennedy Shriver was the teammate of a Special Olympics athlete. 2) In what U.S. state did the Special Olympics “integrated” softball model became the basis for Unified Sports in 1983? 3) When was Unified Sports first adopted by Special Olympics International? 4) How does Unified Sports help to achieve social inclusion? 5) What are the criteria for a successful Unified Sports program? 6) True or false: Unified Sports is only offered in team sports, such as basketball, volleyball and softball. 7) True or false: Special Olympics Unified Sports is intended for youth only. 8) What Unified Sports model requires teams to be composed of: individuals with and without intellectual disabilities; individuals of similar age; individuals of similar ability; individuals who have the ability to compete without any rules modifications? 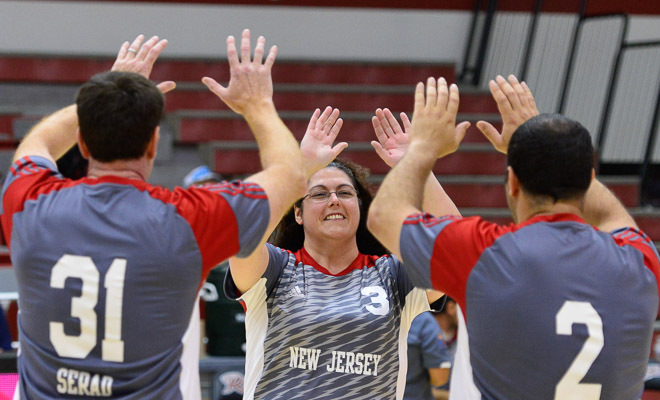 9) What is not a current Special Olympics Unified Sports model? 10) Which Unified Sports model allows for teams to have higher-ability Special Olympics teammates serve as mentors? 11) Which Unified Sports model makes Unified teammates eligible to advance to World Games? 12) True or false: To promote social inclusion and age-appropriate friendships between team members, all Unified Sports teammate should be of similar age.